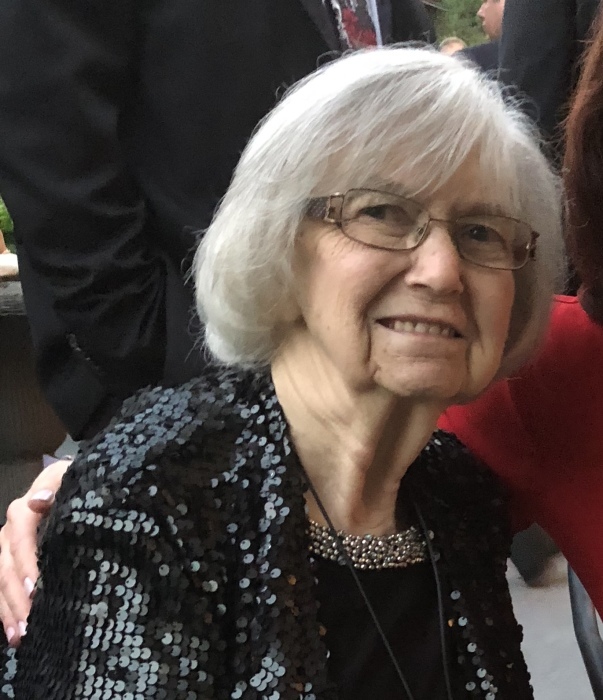 Ethel “Marie” Nolan, age 88, of Morrisville, PA, passed away peacefully on Monday, December 3, 2018 at the home of her daughter in Levittown, surrounded by her loving family. Born in Trenton, Marie had lived in Morrisville for the past 58 years. Marie was active all of her 88 years. She led a life devoted to our Lord and her family. As a parishioner at Holy Trinity Roman Catholic Church in Morrisville, Marie happily volunteered at the rectory, the school, and also served many years as secretary of the Holy Trinity Seniors, now known as “The Lunch Bunch”. Marie was also active at the Morrisville Senior Center, the Artisan’s Club of Philadelphia, and held various positions at the Morrisville American Legion Auxiliary. Among her varied interests were baking cookies, bingo, and reading. She was also an avid canasta player. Her greatest pleasures came from spending time with her friends and her family. Mom Mom always made time for her grandchildren passing on her baking and card playing skills. As a proud Great Grandma Mom Mom loved entertaining the newest members of the family. Daughter of the late Joseph and Anna (Varga) Simko, wife of the late Francis H. Nolan, and mother of the late David Joseph Bitler and Susan Ann Evans. Mom will be forever missed by her two daughters and sons-in-law, Diane and Mark Becker and Elaine and Ronald Beaulieu, all of Levittown, her daughter-in-law Deborah Bitler of California, her son-in-law John Evans of Croydon, five grandchildren Nicole Beaulieu (& James Groetsch), Andrea (& Shane) Smith, Sarah (& Cliff) Jackson, Mark Becker, Katherine Becker, two great grandchildren Abigail and Madeline Groetsch, several nieces and nephews and her constant companion of the last 4 months Buddy who was forever at her side. Relatives and friends are invited to attend her memorial mass at 11 AM on Thursday, Dec. 6, 2018 at Holy Trinity Roman Catholic Church, 201 N. Pennsylvania Ave., Morrisville, PA 19067. Friends may call on Thursday morning from 10-11 AM at the Church. In lieu of flowers, the family requests memorial contributions, in Marie’s name, be made to Holy Trinity Church at the above address or to the American Heart Association at:www.heart.org.